When our chapter endorsed campaigns leading up to this midterm election, we did so with four goals in mind. First was to develop the class consciousness of working people in the East Bay. Second was to strengthen bonds with other progressive and working-class political forces. Third was to elect progressive, working-class, anti-corporate, and, whenever possible, democratic socialist politicians to office — candidates who would use their campaign and their position to advance class-struggle and socialist politics. And fourth was to build the capacity of East Bay DSA ​and its members to wage effective political struggle in the long term. Thanks to the tireless work of our incredible members on the campaigns for Jovanka Beckles, Proposition 10, the Team Richmond slate for Richmond City Council and Mayor, the Community Power Slate for Berkeley Rent Board, Measures O and P in Berkeley, and Measure Y in Oakland, we've achieved every last one of these goals. We've reached tens of thousands of our neighbors with our political message rooted in socialist and working-class politics. We've built relationships with incredible groups like the Alliance of Californians for Community Empowerment (ACCE), the Richmond Progressive Alliance (RPA), and unions like the National Union of Healthcare Workers and SEIU 1021. We've taught ourselves crucial skills, built an incredible organizing infrastructure, and trained dozens of passionate and effective socialist leaders in the heat of battle. All results aside, these are monumental victories for our movement. Now, on to the results! Measures O and P in Berkeley and Measure Y in Oakland all passed, and the Community Power Slate swept the Berkeley Rent Board — all immense achievements in the fight against greedy landlords, developers, and housing speculators in the East Bay. Proposition 10 didn't pass, but it made a strong showing in a field absolutely saturated with corporate cash, and the coalitions built in the fight for Prop 10 constitute the foundation for a powerful tenants movement in California. 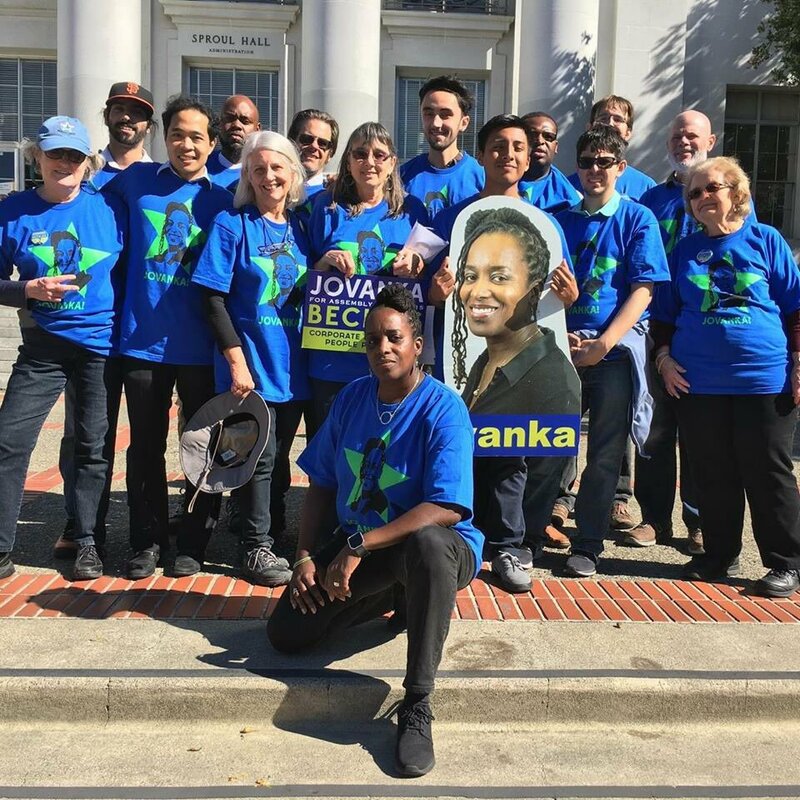 Whatever the outcome of Jovanka Beckles's campaign for State Assembly, we have changed East Bay politics forever. Business-backed Democratic Party operative Buffy Wicks — who helped the reviled Rahm Emanuel get elected in Chicago, helped the impotent Hillary Clinton defeat Bernie Sanders in California, and has a resume studded with work for Super PACs and political consulting firms — was parachuted into one of the most progressive districts in the country to make sure that a pro-corporate Democrat secured a seat that might otherwise go to a candidate whose politics more closely resembled ours: a politics of economic redistribution, of justice, and of a world built for the many instead of the elite few. Wicks and her donors thought it would be easy. We made it very, very hard. And we have news for all the billionaires and Republicans who funded Wicks's campaign, as well as every Democrat who cozies up to the capitalist class: it’s only going to get harder from here on out.